HandsOn Atlanta | Volunteer for Dad's Garage's Show: Invasion Christmas Carol! 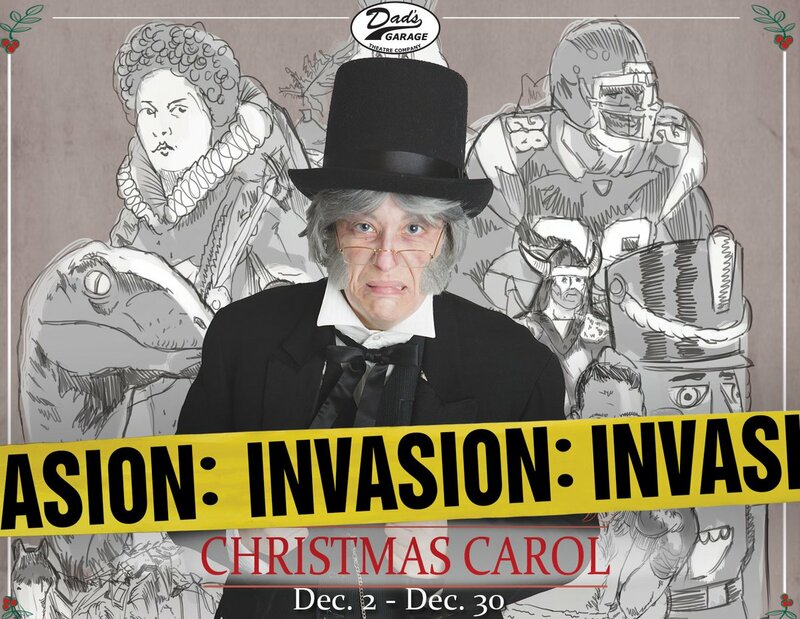 Volunteer for Dad's Garage's Show: Invasion Christmas Carol! Dad's Garage is a comedy and improv theatre located in the Old Fourth Ward in Atlanta, GA. Where you can find scripted plays, improv classes, and Atlanta improv comedy every Thursday - Saturday. Dad’s Garage engages, cultivates and inspires artists and audiences alike by producing innovative, scripted and improvised works that are recognized locally, nationally and internationally for being undeniably awesome. Volunteer for our Half-Improvised Invasion Christmas Carol show! Here's a link to the show description. We have a great group of chill, fun-loving people. You'll be a great fit! Seeing the show for free! $5 towards clases (up to $80), toward gift certificates, or $5 off any piece of merchandise! I'll send you the orientation packet once you've signed up that has all the details you could ever want. Also, note that if you leave a shift early (before we take trash out) you will be marked absent for the entire shift. I look forward to working with you soon!